Everyone needs power, whether to run entertainment systems, to illuminate the night, or to be siphoned by invaders from Mars and thereby facilitate the conquest of Earth. 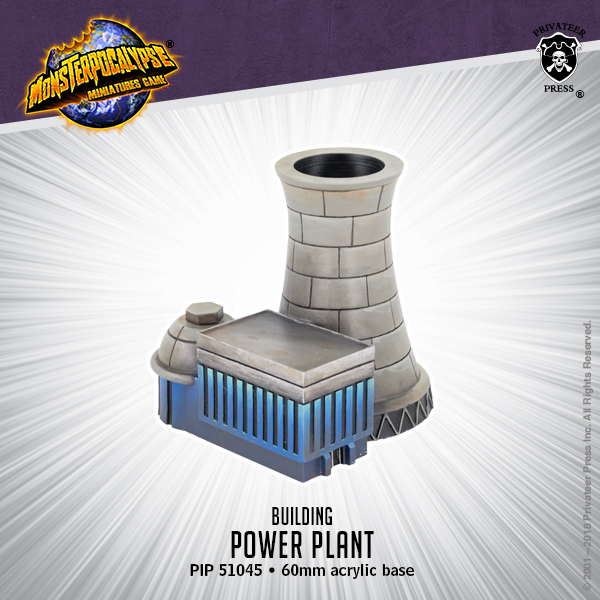 Power Plants are particularly favored targets by many of the oversized creatures menacing the planet, and they explode spectacularly when stomped upon. Unless explicitly stated otherwise, all site contents ™ and/or © 2001-2019 Privateer Press Inc.